How to watch Marvel's Daredevil: Season 3 (2018) on Netflix Egypt! 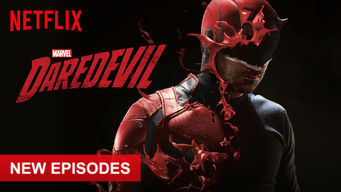 Yes, Marvel's Daredevil: Season 3 is now available on Egyptian Netflix. It arrived for online streaming on October 19, 2018. We'll keep checking Netflix Egypt for Marvel's Daredevil: Season 3, and this page will be updated with any changes. Blinded as a young boy, Matt Murdock fights injustice by day as a lawyer and by night as the Super Hero Daredevil in Hell's Kitchen, New York City. A boyhood accident blinded him. But now he can "see" even better. And he doesn't like what's going on in Hell's Kitchen. Season 1 of Marvel's Daredevil has 13 episodes. Because different Netflix countries have different availability for episodes, you'll need to check the episode listing below to see which are available in Egypt. Murdock's vigilante crime fighting and his new law practice find equally dangerous challenges in a murder case tied to a corporate crime syndicate. Murdock makes a near fatal error while trying to save a kidnapped boy, and finds an unlikely ally when he needs saving himself. Murdock and Foggy take on a mysterious wealthy client, but Murdock is convinced that there's more to the case than just the facts. Two vicious Russian brothers working for Fisk strike back against Daredevil. 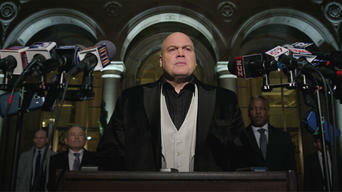 Fisk moves to further consolidate his power in the criminal underworld. Fisk moves forward with plans that threaten to rip Hell's Kitchen apart. Murdock and Foggy take on a case helping tenants victimized by a slumlord. Daredevil finds himself trapped in the fallout of Fisk's plan to take control of Hell's Kitchen. 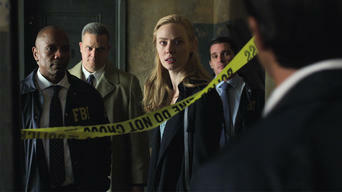 Ben Urich digs closer to the truth. While Murdock, Foggy and Karen's mission becomes clearer, Fisk's world spins further out of control in his battle for Hell's Kitchen. When Fisk gains the upper hand, the goal to destroy him becomes even more difficult, while Daredevil faces his own demons. Season 2 of Marvel's Daredevil has 13 episodes. Because different Netflix countries have different availability for episodes, you'll need to check the episode listing below to see which are available in Egypt. In the void left by Fisk's removal, a new threat to Hell's Kitchen emerges. 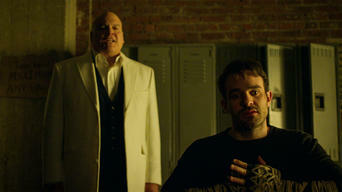 Murdock and Foggy take on a client with a questionable past. As Murdock recovers from an attack, Foggy and Karen fight to protect their new client from both the law and the Kitchen's newest vigilante. A lethal foe returns with a vengeance, Foggy and Murdock risk the firm to ensure justice, and Karen sees a different side of the Punisher. Castle gets an offer he can't refuse. Foggy and Murdock question the future of their firm, but Karen won't give up so easily. Murdock and Foggy get caught in the crossfire of the Punisher's revenge. Karen and Murdock dig for the truth in very different ways. The Punisher's war continues, and so does the body count in Hell's Kitchen. Murdock tries to finish what the DA started. Daredevil goes underground to save an old friend. Karen follows a dangerous lead. The law firm of Nelson & Murdock may have reached its final chapter. In the season finale, Daredevil is backed into the ultimate showdown for his own life -- and the future of Hell's Kitchen. Season 3 of Marvel's Daredevil has 13 episodes. Because different Netflix countries have different availability for episodes, you'll need to check the episode listing below to see which are available in Egypt. Shattered physically and spiritually, Matt rethinks his purpose and place in Hell's Kitchen. 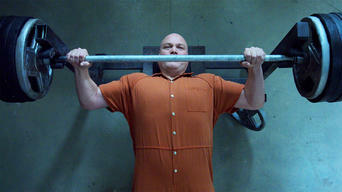 Meanwhile, Fisk puts a plan in motion from behind bars. Grieving for the life he's abandoned, Matt suffers a crisis of faith. 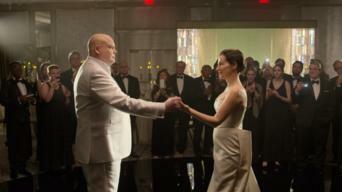 Fisk makes a deal with the FBI that turns him into a target. As Fisk moves into swanky new digs amid a public outcry, Matt wrestles with how far he's ready to go to right this wrong. Dex's aim comes into focus. Driven to the edge, Dex loses his way until he's offered a lifeline by Fisk. Matt comes to Karen for help, which she agrees to give -- on one condition. The press crucifies Daredevil after the attack on the Bulletin, and Agent Nadeem suspects the FBI paid too high a price for Fisk's cooperation. Matt's already shaky world tilts when he learns a shocking truth. Karen runs for her life. Nadeem discovers how deep Fisk's influence runs. Dex tries to run his prey to ground, Nadeem's conscience kicks in, and Fisk looks to recover a gift from Vanessa seized during his incarceration.